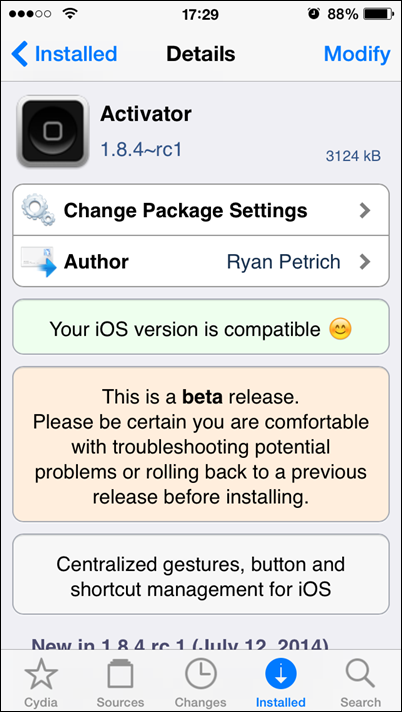 The jailbreak community is still recovering from the release of the Pangu untether for iOS 7.1.x, with many incompatible tweaks having been updated in compliance with the newer firmware. 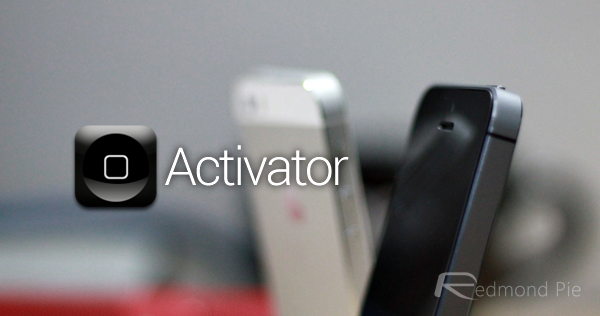 Activator, a tweak central to the Cydia scene as a whole, has just been given its customary bump to support the latest software, so if your device has been given the Pangu treatment and you’d like to call upon the services of Activator, join us after the break for all of the details. It’s around this time of year that the jailbreak scene looks ahead to the next version of Apple’s mobile OS, assessing the jailbreaking potential through the beta release cycles. But the Pangu jailbreak group had other ideas, and with no warning, surprised us by unveiling its own, fully untethered jailbreak for iOS 7.1, 7.1.1 and later, 7.1.2. While the impromptu, unexpected release of an untethered jailbreak is always welcome, though, it does have its downsides, and so while many of us were more than happy to go ahead and jailbreak our iPhones, iPads and iPod touches, we also found that many of our favorite tweaks didn’t work with the new software. This is to be expected, of course, but as ever, those behind these treasured tweaks have been diligent in making the adjustments for compatibility with iOS 7.1 and above. Activator is not only a wondrous tweak in itself, but it also allows other tweaks to benefit from heightened functionality, with gesture-based actions making iOS feel more seamless in general. Thus, we’ve been keeping half an eye out for this update ever since Pangu first hit the scene, and now, it’s ready to download. It’s worth pointing out that this is a beta release, and thus, you’ll have to add the repository of author Ryan Petrich if you wish to get started with it. 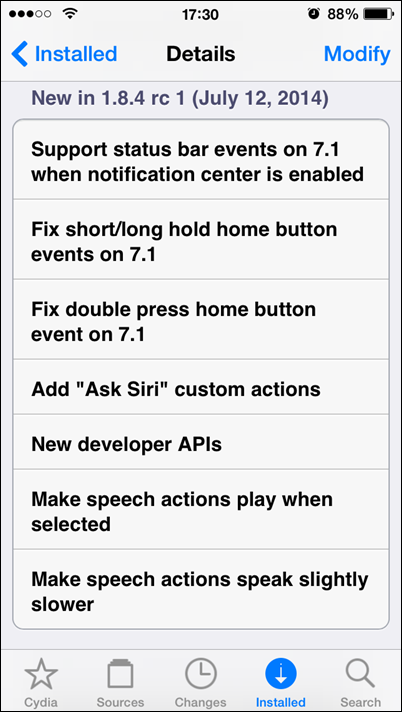 If you’ve already downloaded any one of a number of Petrich’s great tweaks, then the chances are you’ve already added it, but for the benefit of the uninitiated, the steps are relatively simple. First, fire up Cydia, then hit the Sources tab. After hitting Edit > Add, type in rpetri.ch/repo when prompted to do so. Once the packages have been downloaded, return to Cydia, hit the Refresh button, and under All Packages, you’ll find the latest Activator version at the very top. Install it, respring your device, and you’ll be good to go.